← Ireland Vacations to Remember – Tour around Ireland today! Visit anywhere in Ireland at your own pace, use prepaid vouchers for each night’s accommodation, add on activities such as golfing, fishing, cycling and hiking on an Scenic Ireland Self Drive vacation. We have a range of sample self drive vacation packages to choose from, which are ideal for family holidays, breaks away with friends and as a Ireland honeymoon. A Scenic Self drive vacation in Ireland includes; car rental, bed and breakfast in approved hotels, road map of Ireland and a heritage guide to Ireland that includes admission special offers, and although the beauty of a self drive vacation is that this can be catered to your individual requirements, a suggested tour summary for your Scenic Ireland Self Drive Vacation to ensure that you didn’t miss any sights could include; exploring Dublin; the capital of Ireland and home to the Book Kells, before visiting popular KilKenny town and continuing your drive Southwards towards West Cork to take in the picturesque views and visit the beautiful harbour towns. 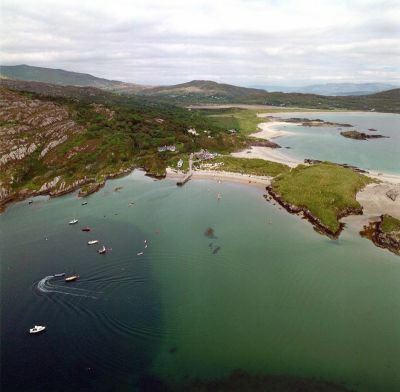 On leaving here, follow the meandering Ring of Kerry; taking in Killarney and Muckross House, before moving on to Clare to visit the Cliffs of Moher and a drive through the Burren to visit the popular town of Lisdoonvarna before heading back to Dublin via Connemara and the Boyne Valley. This entry was posted in Honeymoon in Ireland, Ireland Travel, Ireland vacations, Romantic breaks Ireland, Self Drive Vacation Ireland, vacation to Ireland and tagged honeymoon in Ireland, Ireland Self Drive, Ireland vacation, Ireland vacations, self drive vacation in Ireland, Vacation in Ireland. Bookmark the permalink.